Thailand Lubricants Companies, Thai Lubricants Manufacturers process and distribute a wide variety of lubricants, special oils and greases for industrial use as well as for use in automobiles and other vehicles used in the public and private sectors. Thailand Lubricants Products include: Industrial Oils, Automotive Oils, Engine Oils, Hydraulic Oils, Rust Prevention Oils, Gear Oils, Wholesale Greases, Casting Release Agents, Grease Guns, Air-Operated Grease Pump, Special Lubricants, Bio Diesel Additives, Lubricating Oils. Lubricant - A substance used to reduce friction between bearing surfaces or as a process material, either incorporated into other materials used as aids in manufacturing processes or as carriers of other materials. Petroleum lubricants may be produced either from distillates or residues. Other substances may be added to impart or improve useful properties. Does not include by-products of lubricating oil from solvent extraction or tars derived from de-asphalting. 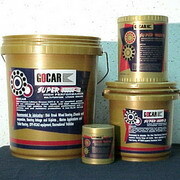 Lubricants include all grades of lubricating oils from spindle oil to cylinder oil and those used in greases. Lubricant categories are paraffinic and naphthenic. Demand for automotive lubricants is estimated at 450 million-Liters last year at estimated value of Baht 28,000 Million (about USD 666 million at Baht 42 = USD1). 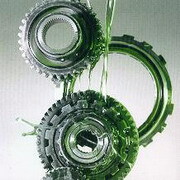 Based on its applications, the market is divided into Diesel, Gasoline, Hydraulic, Auto Lube (for motorcycles), and others. Lubricants for diesel engines have a 60% share of the market, followed by gasoline engine 20%, Hydraulics 10%, and auto lube 2.6%. 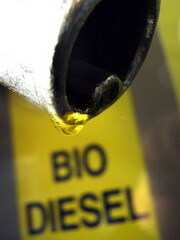 Sales of lubricants, particularly those for diesel engines, are concentrated in the provinces throughout the country. This is because one-ton pickup trucks comprise the majority of the vehicles in-use in Thailand, particularly in areas outside of Bangkok. A few companies, mostly major petroleum refineries with retail operations nationwide, control more than 80% share of the lubricant market. Their market share is estimated as follows; Shell 22%, Caltex 20%, Esso 15%, Petroleum Authority of Thailand 13% and Castrol 9%. Two other market leaders that are not made and distributed by major oil companies are Pennzoil and a local brand, Trane. However, there are close to 160 makes competing in the market. Most of these makes are imported by small trading firms targeting the premium segment of the automotive market. The large number of participants in the market creates intense competition, yet indicates strong perceived business potential in this market segment. Imported lubricants normally aim at the high-end segment of the market as they are less likely be competitive with locally manufactured product in other segments. In the high-end, fully-synthetic segment, Mobil1 is the most popular and is also the most expensive make among those sold at gas stations. It is sold at a retail price of about $56 per gallon (4 litr). Castrol RS is the most popular among those sold outside gas stations, retail at $55 per gallon (4 litr). Mobil1 has been highly successful in the Thai market. Industry experts cited the company’s continuous marketing campaign associated with high performance cars as key contribution to such success. Moreover, Mobil1 also has high performance quality said to be tangible to their users. Bangkok Companies is a full service product sourcing company in Thailand. 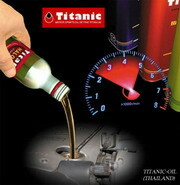 For All your lubricant needs please email bangkokcompanies@gmail.com with your requests. Mold Release Agent: Provide multi part release of plastics. Foams and latex rubber Excellent release agent for plastic mold. Printing Industry: Used as a release agent for offset press applications. Textile/sewing: Possesses excellent anti-friction properties for sewing thread and reduce sewing needle heat. It is also used as a textile-finish additive for yarn to reduce friction and tension. 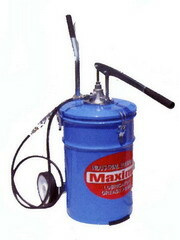 Repellency for leather, vinyl& upholstery foam. 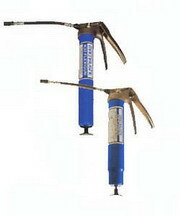 Cutting Knives: Excellent lubricant for cutting knives. Cosmetic White Oil: This products is colorless, transparent oil without any additives, water or mechanical impurities, which is lubricating, reaction, obtained from petroleum, that has been deeply refined. It possesses excellent ant oxidation, chemical and light stability. 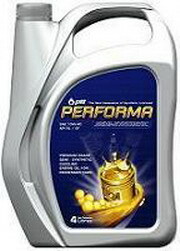 This product is suitable for cosmetic applications and for machine lubrication in food and textile industry. Polybutene: Polybutenes are synthetic liquid polymers of butanes. These polymers have a wide range of viscosity varying from slightly viscous oils to extremely viscous liquids with a high degree of tackiness. They are used in numerous applications either by themselves, compounded with other materials or as starting materials for chemical derivatives. Polybutene are permanently fluid, non-drying and highly resistant to chemical attack, oxidation and photo degradation. They are soluble in petroleum solvents, chlorinated hydrocarbons, and some esters such as butyl acetate. They are essentially insoluble in oxygenated solvent such as: Acetone, methyl ethyketone, glacial acetic acid, ethyl and isopropyl alcohol. They are compatible with a wide variety of organic materials, most synthetic hydrocarbon polymers and natural products, including gums, pitches and waxes. Their closely packed branched chain molecular structure render them highly resistant to chemical attack and oxidation and impermeable to water vapor and gases. They have excellent aging characteristics on prolonged exposure to severe atmosphere conditions. They exhibit light stability characteristics superior to other oils. Their evaporation losses are extremely low. - specialty products for Polystyrene/Polypropylene. The major policy of tpi executive is its commitment to develop high-quality petroleum products or refine oils that do not adverse effect on the environment. Tpi refinery is the first refinery in Thailand employing a deep catalytic cracking unit (dcc). This technology is well-known and accepted as an efficiency and highly productive upgrading process. The dcc unit will convert low value vacuum gas oil to more valuable products. In addition to the dcc unit, tpi refinery also utilizes atmospheric distillation unit (adu), vacuum distillation unit (vdu), reforming unit (rfmu), isomerization unit (ismu), naphtha hydrotreating unit (nhtu), hydrodesulphurizing unit (hds), and other sweetening processes. Petroleum refining involves several processes. Starting with feeding crude oil into atmospheric distillation units (adu), crude oil is first separated into five product streams: Lpg, light naphtha, heavy naphtha, kerosene, diesel, and fuel oil. These products will be treated using the hydrotreating process to reduce the sulphur content and other impurities, as well as to improve their quality before distributing to the market. Light naphtha will be processed in a isomerization unit to increase its octane number especially front-end octane number for gasoline production. Heavy naphtha will be processed in a reforming unit to increase its octane number for gasoline production, too. The atmospheric bottom from adu will be further distilled in the vacuum distillation unit (vdu) to convert more valuable products as lube base oil, asphalt, and vacuum gas oil (vgo). Vgo will be fed to deep catalytic cracking unit (dcc), where will be cracked into more valuable products such as propane, butane, lpg, gasoline, diesel, and olefins for feeding to petrochemical plant. Tpi refinery is equipped with modern, sophisticated technologies and instruments. A distributed control system (dcs) is installed to centralize process controls and to monitor operations throughout the plant. Advanced process control will be coming soon implemented to ensure the safety and optimization of the processes. A state-of-the-art computerized system is utilized to facilitate process planning, data acquisition, and daily operation of the refinery. Along with advanced refining technology, an extensive quality assurance program is incorporated to guarantee the high quality of tpi's petroleum products or refined oils. The Siam Fine Chemicals Co,. Ltd.